According to the Federal government, each individual has a 70 percent chance of needing long term care in their lifetime. 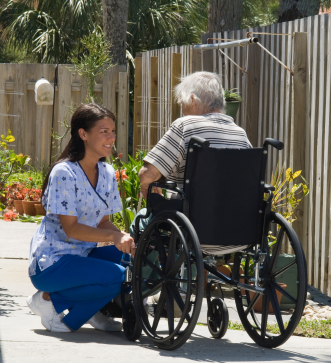 In 1994, 7.3 million Americans required long term care services, at an average cost of nearly $43,800 per year. This number has consistently climbed and is estimated to reach 23 million Americans by the year 2030 – with annual long term care costs projected at $300,000 per person. It’s no wonder why long term care insurance is such a hot topic. According to financial planners, people should start thinking about purchasing a long term care insurance policy when they reach their late 50s; although Federal and State Partnership Programs encourage people to buy as early as age 40. You will need to decide if LTCi makes sense given your current situation. Do you have sizeable assets you want to protect? Do you have any health concerns to factor in? Before purchasing a policy, consult with a financial planner or insurance agency that specializes in home care management and discuss your options. Look carefully at the policy you are considering, and try to be objective. Fear and other strong emotions cause people to buy either too much or too little insurance. Make sure your policy is affordable and reasonable. Policy costs can vary greatly. In 2007, the average comprehensive cost was $2,207 – providing an average of 4.8 years worth of benefits with a daily benefit amount of $160. With most policies, you pay premiums as long as you are not receiving benefits. However, with some policies, you pay premiums for a specified period –often 10, 15, or 20 years. For example, if you choose the 20-year option, you pay a monthly premium for 20 years and then your coverage is paid up. If you begin to receive benefits before the 20-year pay period is over, you stop paying premiums. You may also select a daily benefit amount (from $50 to $400), which is the maximum daily amount of expenses for care the policy will pay. Be sure to check your policy carefully for exclusions. Check back next week for our post on how Long Term Care Insurance can help protect the wellbeing of your family and how most coverages apply to homecare.